Alexa has inspired a generation of smart speakers, and Xiaomi is the latest on the scene. Its Mi AI Speaker, just announced, is an Echo/Google Home rival with a unique edge: the price. The trendy little tower can control Xiomi's other smart home appliances and countless other connected devices, while six built-in microphones should let it hear you clearly from all angles. As expected, it'll also deliver the same updates you'd get from Alexa/Assistant: newsflashes, weather updates etc etc. Xiaomi is rolling out the speaker in August to 1,000 beta testers in hope of further training the voice smarts. Sadly there's no word yet of a launch outside of China (seems unlikely right now), but at just 299 RMB - about $45 - it has reason to have its rivals at least mildly perturbed. Amazon has the similarly pried Echo Dot, but otherwise you're looking at $180 for a full sized-Echo and $130 for Google's little home helper. In terms of the smart assistant, the Mi AI is powered by Xiaomi's Android variant, the MIUI operating system. 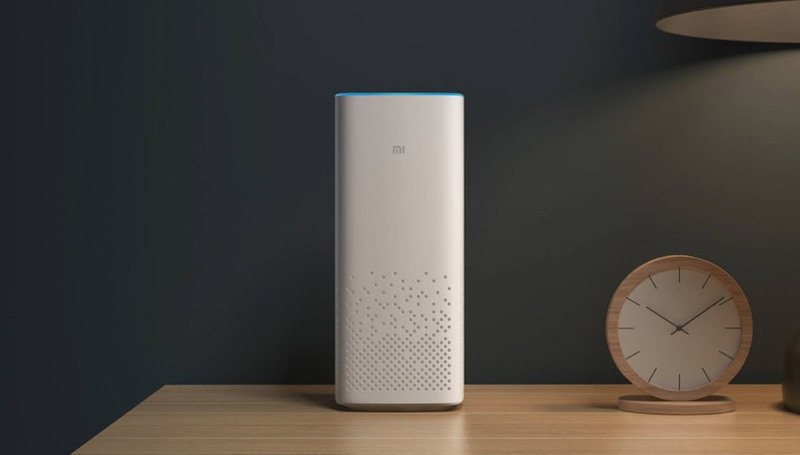 Xiaomi may have borrowed a little too heavily from Echo with the similar blue glowing ring around the top, but hey, imitation, flattery and all that. Amazon will see it the same way, right?